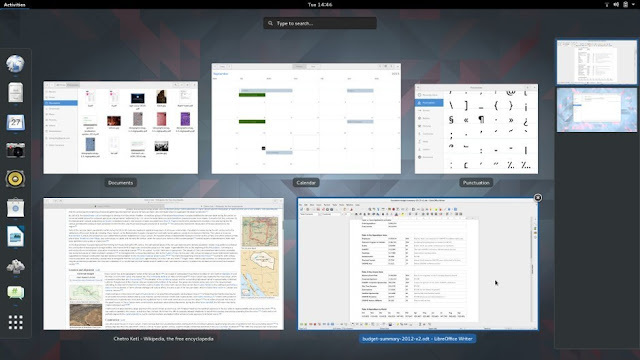 Matthias Clasen sent us an email to inform everyone about the general availability of the third development milestone towards the GNOME 3.20 desktop environment. We've published several articles this week about some of the most interesting applications and core components that have been updated as part of the GNOME 3.19.3 release, so if you're reading our website on a daily basis, you would know what's new in the development cycle of the forthcoming GNOME 3.20 desktop environment, due for release on March 23, 2016. GNOME 3.19.3 was originally scheduled for release on December 16, but it took the GNOME developers one more day to make an announcement and push all the packages to the FTP servers, so that anyone wishing to take this early build for a test drive can do so by following the instructions provided below by Mr. Clasen. "Only a day late, here is the third development snapshot in the GNOME 3.19 development cycle: 3.19.3," said Matthias Clasen. "To compile this snapshot, you can use the jhbuild modulesets (which use the exact tarball versions from the official release). You can also test the latest code using the vm images that are produced by our continuous integration infrastructure, build.gnome.org." The development cycle of the GNOME 3.20 desktop environment will continue with a fourth milestone, GNOME 3.19.4, which should be released early in 2016, on January 20. Then, we will be able to test the first Beta release of GNOME 3.20 on February 17, which will be followed closely by the second Beta build on March 2. The RC (Release Candidate) should arrive on March 16. The GNOME 3.20 desktop environment will by officially unveiled on March 23, 2016, but it will make its way into the software repositories of various GNU/Linux operating systems in the months that will follow. GNOME 3.20 will have two maintenance release, and the first one, GNOME 3.20.1, should be available on April 13, 2016, according to the official release schedule.